Russia's full-fledged ring of air defences has prompted Washington "to rethink its position as the world's undisputed air power", according to Wall Street Journal reporter Thomas Grove. In his article titled "The New Iron Curtain: Russian Missile Defence Challenges US Air Power", the author noted that Moscow has already deployed its missile shield north from Syria, along the borders of Eastern Europe and in the Arctic Circle, in a move Grove claimed threatens "the reach of the US military". In particular, Russia's S-400 missile system, "a nettlesome and potentially deadly missile shield, is changing the calculus of the US and its allies in potential hot spots, beginning its deployment in Syria", Grove argued. In this context, he referred to Washington's concerns that by selling the S-400 systems to other countries, Russia further expands its ability to deter the US military. The S-400s were deployed at the Hmeymim airbase in Syria following the Turkish Air Force's November 2015 downing of a Russian Su-24 bomber on the Syrian-Turkish border. 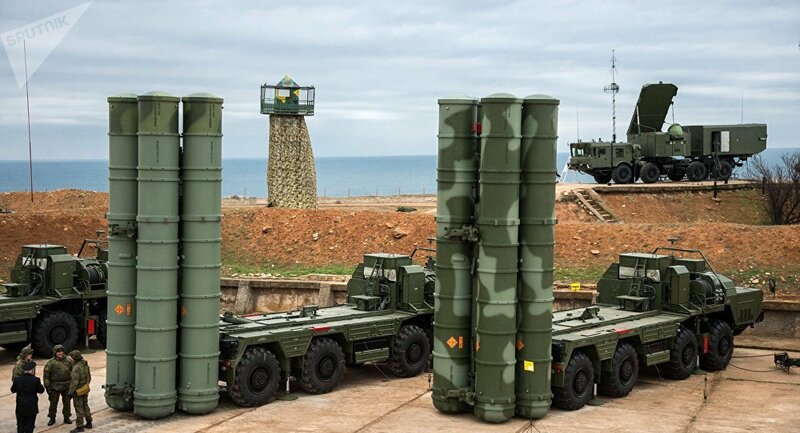 The S-400 Triumph is Russia's next-generation mobile surface-to-air missile system and caries three different types of missiles capable of destroying aerial targets at a short-to-extremely-long range.